The move probably wasn't intentional (clicking the 'Buy at AmazonWireless.com' button leads to an error message), but it certainly has revealed some juicy details. 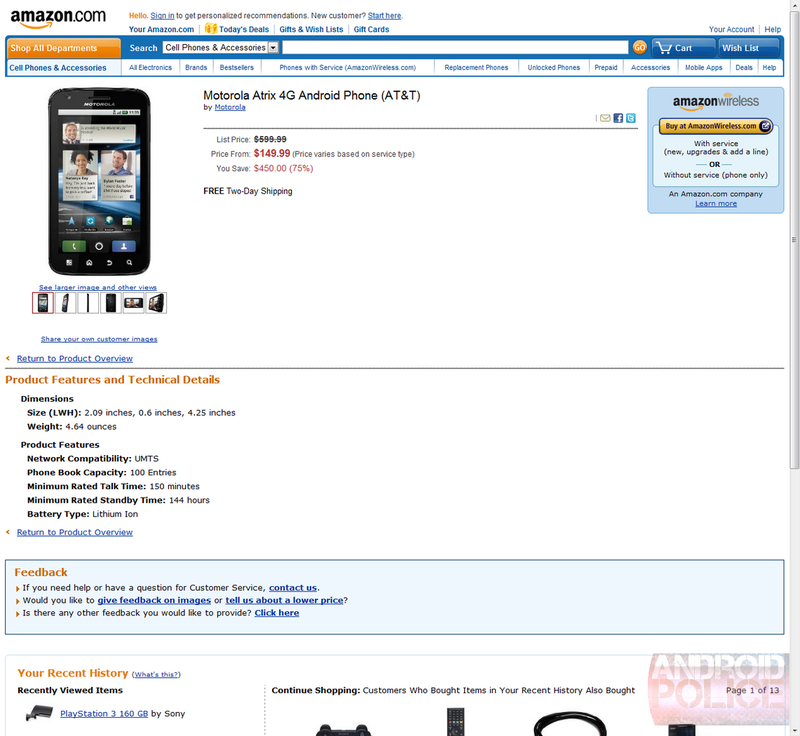 Most importantly, the on-contract price is said to be a mere $149.99 - not bad for America's first dual-core phone. As for the off-contract price, Amazon lists it at $599.99, which is pretty much in line with what you should expect to pay for a device like this. Of course, the pricing may change by the time the phone really launches, but if the Atrix 4G does end up costing just $149.99 on contract, I think I already know what my next Android handset will be. Update #1: HTC Inspire 4G also showed up briefly for $99.99 on-contract, $499.99 off. Update #2: Both pages have now been taken down.